Veteran Bollywood actor Vinod Khanna has been hospitalised to the HN Reliance Foundation and Research Centre in Girgaum due to severe dehydration. 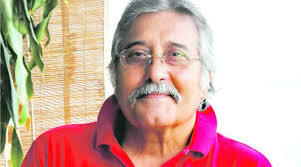 The 70-year-old actor was admitted in the hospital on 31 March Friday night. Vinod's son, actor Rahul Khanna said that his father is stable now and that the doctors are looking to discharge him soon. Rahul said "Dad was hospitalised on Friday for severe dehydration. The situation was quickly brought under control, he's doing much better and the doctors are looking to discharge him soon."